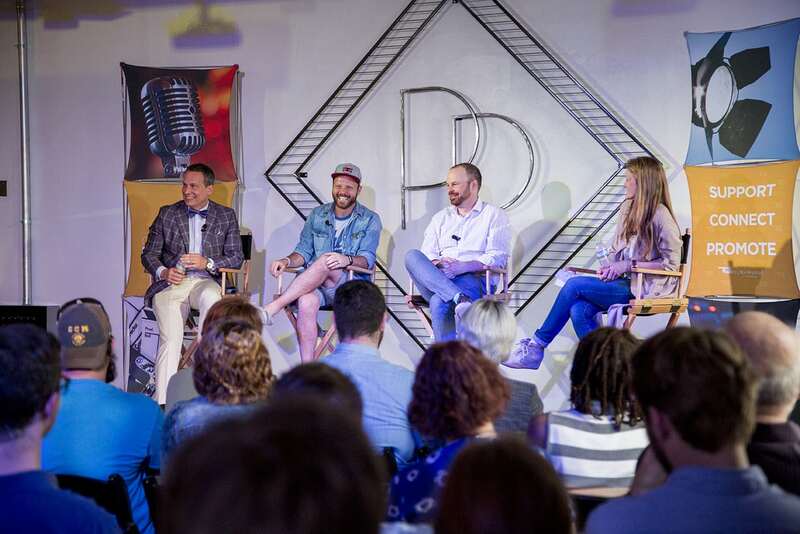 The Oklahoma Film + Music Office (OF+MO) hosted the third annual Film Networking and Mentoring Series May 8, 2018 at The Paramount Room in Oklahoma City. This year’s session, titled “How to Start a Film Production Company”, invited audiences to learn about what it takes to start and sustain a production company in Oklahoma from three local filmmakers who have each found a unique platform for producing and distributing their content. We would like to thank our special guests Ryan Bellgardt of Boiling Point Medialink, Kyle Roberts of Reckless Abandonment Pictureslink and Russ Kirkpatrick of Kirkpatrick & Kinslow Productionslink for their time and unique insight on starting their individual film production companies in Oklahoma. Thank you, also, to The Allie Lauren Projectlink for their incredible performance. Looking for more networking opportunities? Attend the deadCenter Film Festivallink June 7-10 in Oklahoma City! In addition to the festival’s screening and networking events, OF+MO will host a series of free educational panels on Saturday, June 10. While an All-Access Pass is required to attend the majority of deadCenter screenings and events, OF+MO’s sponsored panels on Saturday will be free and open to the public. Additionally, if you are a moviemaker considering filming in Oklahoma, please review the Oklahoma Film Enhancement Rebate Programlink or browse thousands of locations in our Oklahoma Locations Directorylink which can help set the scene for your newest production! Browse our crew call pagelink, call for entries pagelink for job opportunites. 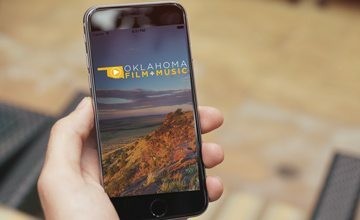 Be sure to follow us on social media for updated information on the Oklahoma film and music industries and where we will be next. We look forward to continued conversations and providing on-going mentorship opportunities in the future. Keep an eye out for information on our next mentoring event in the series this fall that will have a music emphasis.